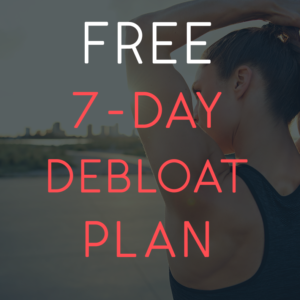 Beat the bloat with our 7 day plan. Designed to provide you with the understanding of how and why bloating happens so you can make small changes to your current lifestyle and improve your gut health. Try our recipes for one week to feel the benefits of a healthier diet and get access to one free online workout as a bonus.